An Ignite Event gives the floor to a local leader and allows them to speak on information of industry trends, innovation and potential developments. Attend to get a pulse on regional activity and future outlooks. Question and answer period with an open dialogue to follow. A business workshop brought to you by the Zeal Center for Entrepreneurship. Please reserve an Eventbrite ticket here to be admitted in the session, as capacity is limited to just 25 people. This workshop is designed to inform on beneficial banking principles for early-stage entrepreneurs and businesses. First National Bank of Sioux Falls is co-hosting this workshop and delivering the expertise to attendees. A business workshop brought to you by the Zeal Center for Entrepreneurship. Please reserve an Eventbrite ticket here to be admitted in the session as capacity is limited to just 20 people. Click on the link below to find the schedule for 2019 and how to register. What is Lean methodology? What does it mean to run Lean, and why is it good for startups? Join us as Ryan Weber from Great North Labs gives a practical overview of Lean. This workshop is for anyone looking to improve their communication charisma, public speaking, or sales abilities. THE 4TH IN A NEW SERIES OF EVENTS HOSTED BY THE ZEAL CENTER FOR ENTREPRENEURSHIP AT JOSIAH'S DOWNTOWN SIOUX FALLS. The Ignite series gives the floor to a local leader and allows them to speak on information of industry trends, innovation and developments. Attend to get a pulse on regional activity and future outlooks. Question and answer period with an open dialogue to follow. A momentous celebration as 1 Million Cups Sioux Falls turns 5 years old on Sioux Falls Entrepreneurship Day! The weekly, casual, FREE COFFEE entrepreneurial and small business community event. Each week an entrepreneur or community leader gives a 6 minute presentation about their project/company and the rest of the 20 minutes is audience Q&A open dialogue. No Cost. No RSVP required. Just attend and get plugged-in. During the morning of this program you will learn about SBIR/STTR eligibility, how SBIR and STTR differ, selecting the right agency for your technology and more. The afternoon will focus on essential elements of a credible commercialization plan, including agency expectations, components of an effective plan, sources of market research data, and supporting documents you will need. We've all got ideas. The next patent-worthy invention, restaurant concept, subscription model, or the million dollar kick-starter revolutionary product. Bring your idea forward to a group of business minds that will give honest feedback and if possible, advice on how to bring the opportunity from ideation to testing the market or MVP. At this event, we are going to discuss how Sioux Falls' entrepreneurial ecosystem ranks and what opportunities exist to become better, more inclusive and more helpful to emerging entrepreneurs. The format will include discussions by round-table panel members that we consider to be entrepreneurial thought-leaders and community-evangelists. This session is free and open to the public. This will be an open dialogue event and a conversation among all participants. THIS IS THE PART 2 SERIES OF THIS "TAKE THE LEAP" THEME. THOSE WHO ATTENDED PART1 DECEMBER 2018 ARE NOW ENCOURAGED TO COME BACK AND HAVE A CHECKIN. THIS PART2 IS ULTRA CASUAL AND MORE OF A SOCIAL/MIXER THAN A SPEAKING EVENT. COME CONTINUE LEARNING FROM OTHERS ON THE JOURNEY AND STAYING ACCOUNTABLE WITH THEM! Four entrepreneurs, four varied industries. All at different stages of growth. Ready to engage with you and share what they’ve learned on their journey towards success. A free business workshop brought to you by the Zeal Center for Entrepreneurship. Please reserve an Eventbrite ticket to be admitted in the session as capacity is limited to 25 people. This workshop is for the business owners or inventors needing some help understanding the world of Intellectual Property. The world of protecting your ideas and your business’ intellectual property is sometimes over-complicated. We’re excited to have Sean Kaufhold and partner Brendan Dix of Kaufhold Dix Patent Law in to deliver a workshop on simplifying the process. Sean will breakdown the items of patents, trademarks, and copyrights in a digestible way for inventors and business owners. 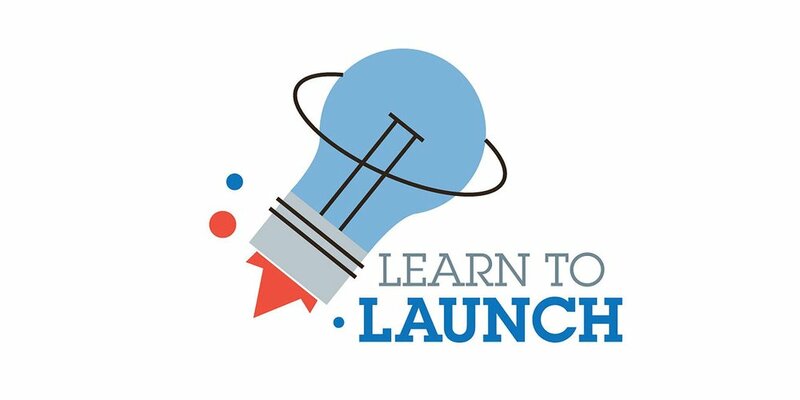 Jodi Schwan and the SiouxFalls.Business organization is conducting a 1 day bootcamp to deliver resources and guidance to first time business launchers. Details Below! We’ve opened up our conference room to allow Simulation to house a special event. Details are below! 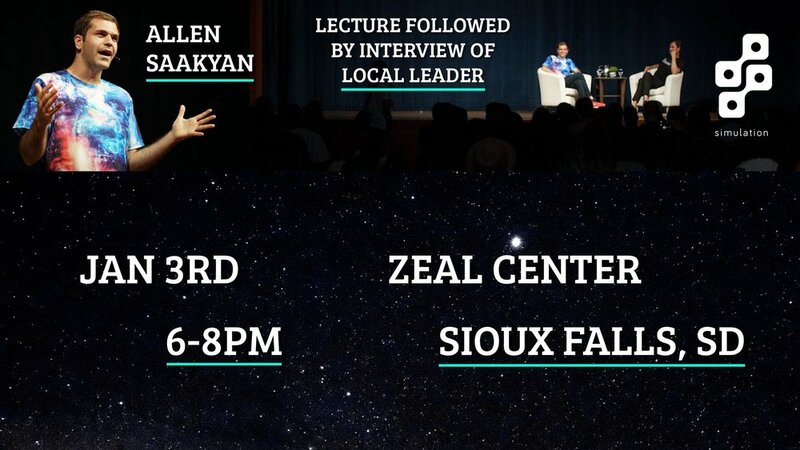 Sioux Falls native Allen Saakyan is back in town from San Francisco to host a show on Jan 3rd from 6-8pm exploring helping maximize the potential of the community he grew up in. This means discussions about meaning, actualization, happiness, entrepreneurship, art, exponential technologies, spirituality, and more. Allen Saakyan hosts a multidisciplinary show in San Francisco called Simulation which features some of the greatest minds of our time in long-form, nuance-driven conversation. His primary focus is to maximize civilizational prosperity, redesigning frameworks and resource flows to eradicate structural violences, enabling everyone to flourish at their absolute best. Check out Allen’s recent TEDx San Francisco talk on “The Art of Powerful Questions” or visit his website for more info. Tickets are free. The Zeal Center for Entrepreneurship is a one-stop resource dedicated to serving entrepreneurs no matter their stage of business growth in the Sioux Falls area & beyond. The questions you should be asked (or should have been) and the items that should be addressed prior to starting the business plan writing process. There is no such thing as a perfect business plan. There is at times no correlation between the “competency” of a business plan and success in the marketplace. Sometimes intuition and entrepreneurial drive are enough… BUT preparation is always a prime candidate to success and having a guide created by you for your business is supremely favorable. This 90-minute workshop is actually ⅔’s questions you should address and the attitudes to have set BEFORE ever putting pen to paper (keys to doc) and writing a business plan. The goal will be to have a deeper core understanding of your business, its simple purpose, and then be prepared to conduct the strategy. I, Thadeus Giedd, have seen it far too often where a business plan is shades of multi-personality; where the values and ambitions at the beginning of the plan don’t align with the end, or the operations plan is outlandishly contrasting to the financial projections. I’ve designed this workshop to offer some help to get all elements in alignment so a clear, concise, and sensible plan forms. Designed for the entry-level business individual but this could also be a very rewarding session for even a 10+ year seasoned business owner. All are welcome. Business is the Creation of Value. Where in your process do you create value? What do you do that elicits perceived value, a trade, a transaction? What problem do you solve? What solution is provided? Is value created by removing something? Categorized as new innovation? Disruption? Better Mousetrap? Mining the Gap? New industry? Fad or trend? Novelty or Innovation? Will you be required to educate the market? Are you competing in the category of price, convenience, or experience? Is the business favored to transactional or nurturing customer interaction? Exercise: Law of diffusion. The diffusion market lifecycle. Your current stage > define, create, validate, build, pitch, acquired resources, acquired customers, built team. Will you have proof of concept, MVP, detailed research, pre-sales? Pricing… Are you at the perfect supply/demand fit? Where is your margin at? What will define your brand? Logos, product, service, spokespersons, experience. The Story & the developing Marketing Plan. How do you make people feel? Will they attach and find ownership/belonging/affiliation? Who is your customer and what are their most defined characteristics and behaviors? Exercise: Sales = the transfer of enthusiasm. THE Valley of Death > Financing & levels of capital requirements. Will you bootstrap or have heavy investment? Do you scale? Do you have a path to scale? Hiring and evolving a growing team? Who manages/supervises/leads employees? The business basics.. Entity, Operating agreement, EIN, tax reporting, SDEPATH, banking, legal, accounting, payroll. Why write a business plan? For self or others? What will you handle in-house? What do you outsource? Will this evolve? Exercise: Construct the mission, vision, belief statements. Are you a college student? We have a special code for you too, shoot an email over with your collegiate information and we’ll secure a ticket for you. The Kaufhold & Dix team is back for Office Hours at Zeal. What are office hours? When a professional offers time to have their door open and welcome conversations of those in need and serve as a resource. This is a TWO part event, with Part 1 focusing on collaborative conversation between the expert panel of entrepreneurs and you, the audience. Part 2 will be centered around follow-up and accountability. Attendees have the unique opportunity to follow-up with the panel on any challenges or triumphs they’ve encountered. The Innovative Insights event will include audience participation. Questions to panelists are encouraged as they are there to share their knowledge and help guide attendees through different stages. Panel Members include Melissa Johnson, Sarah Werner, Rebekah Scott, & Trisha Dohn. Thadeus Giedd of the Zeal Center will serve as moderator. No cost for this event made possible by First Bank & Trust! Capacity limited to 40 eventbrite RSVP’s. 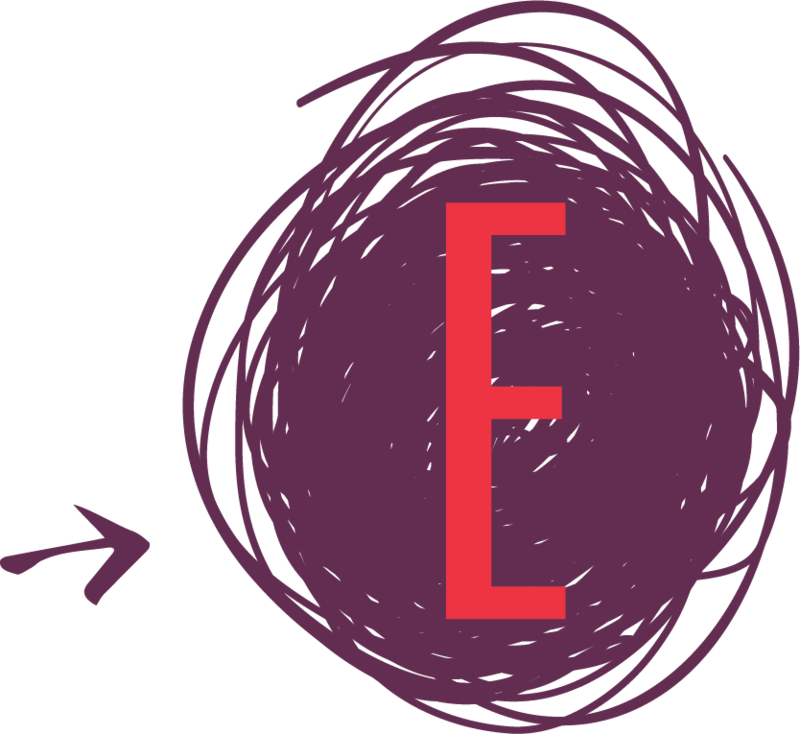 The Zeal Center for Entrepreneurship is a business incubation center, coworking space, and programming nonprofit that supports business growth from start-up to scale-up. Zeal’s mission is to connect entrepreneurs, investors, professionals, subject matter experts, and others within a collaborative environment. First Bank & Trust is part of Fishback Financial Corporation, one of South Dakota’s largest privately- held bank holding companies with 23 locations in 18 communities in South Dakota and Minnesota. With over 600 employees, we all play a role in providing expert advice along with financial products and services that fit easily into your life. First Bank & Trust is proud to be employee-owned and dedicated to giving back in our communities. Melissa Johnson is a writer who travels and a traveler who writes. She is the founder and CEO of Oh My Cupcakes and Oh My Word! A mother, an entrepreneur, and a Professional Encourager, Melissa believes in creating moments of delight for those around her. Sarah Rhea Werner is a professional writer, podcaster, and coach who loves to help creators find confidence and success. She is a contributor to Forbes and the founder of the Write Now podcast, which helps aspiring writers to find work/life balance while pursuing their creative passion. She is also the writer, editor, and executive producer of the hit audio drama Girl In Space. You can find Sarah at sarahwerner.com or on Twitter and Instagram at @SarahRheaWerner. Trisha Dohn is the owner and CEO of Well365, an independent corporate wellness company providing wellness services to companies of all sizes and in all industries. In less than 2 years, Trisha has grown her team from 1 to 10 employees and provides wellness services locally, regionally and nationally throughout 28 states and growing! Trisha is a graduate of the Zeal Accelerator program and a 2018 nominee for startup company of the year for Hey Sioux Falls. In addition to running her company, this past year Trisha served as a national corporate wellness spokesperson and traveled all across the United States on behalf of Fellowes Brands, a Chicago based company that provides products to enhance wellness and productivity in the workplace to include sit-stand workstations. Above all, Trisha is the proud wife and mom to 2 boys, ages 7 and 3. Capacity limited to 40 eventbrite RSVP’s. If you plan to attend please secure a ticket now. Any questions can be fielded to info@realzeal.com. Thank You! This week’s speaker is Sarah Werner from the Write Now Podcast and the Girl in Space Podcast. Learn more at https://www.sarahwerner.com/. 1 Million Cups of Sioux Falls is sponsored by Craig Computer Service, Fearless Foundation, First National Bank of Sioux Falls, Lemonly, MarketBeat, Midco, Sidewalk Technologies and the Zeal Center for Entrepreneurship.